Melissa & Doug Wooden Stamp Set - Dinos..
Melissa & Doug Shape, Model & Mold ..
Melissa & Doug Prance-N-Play Stick Unic..
Melissa & Doug Temporary Tattoos Jewelr..
Melissa & Doug Puffy Sticker Play Set -..
Melissa & Doug Safari Paint with Water ..
Melissa & Doug Ocean Paint with Water K..
Melissa & Doug My First Paint With Wate..
Melissa & Doug Joey Magnetic Dress-Up S..
Melissa & Doug Fishing Magnetic Puzzle ..
Melissa & Doug Dinosaurs Puzzles In A B..
Melissa & Doug Construction Puzzles In A Bo..
Melissa & Doug Fairytale Princess Peel ..
Melissa & Doug Play-Time Produce Vegeta..
Cultivate creativity in the garden with this durable, child-size garden tool for kids three and older. 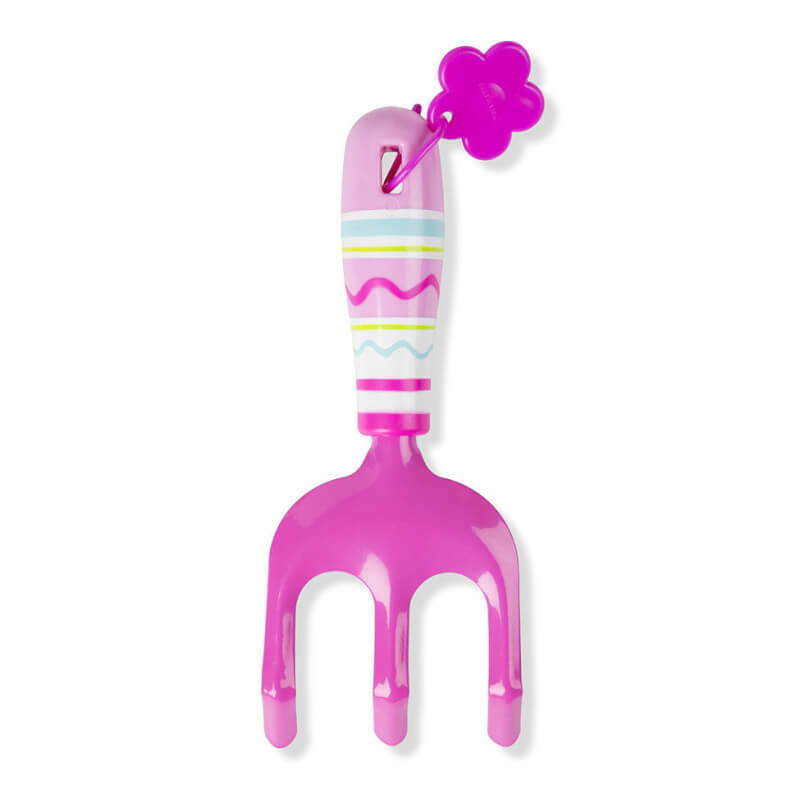 Sturdy metal digging prongs, a sweet flower design, and bright colors on the easy-clean handle make gardening activities exciting and enjoyable! Stores neatly with a handy loop for hanging.